Lyman Frank Baum (1856–1919) was an American author and is responsible for one of the most popular books ever written The Wonderful Wizard of Oz, better known today as simply The Wizard of Oz. It was originally published by the George M. Hill Company in Chicago in 1900. The story chronicles the adventures of a girl named Dorothy in the Land of Oz. 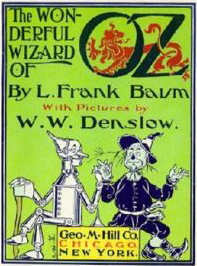 Initial sales were excellent which led Baum to write 13 more Oz books. 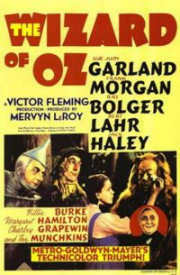 The fame of Oz was ensured when in 1939 Metro-Goldwyn-Mayer produced the musical film based on the Wizard of Oz. 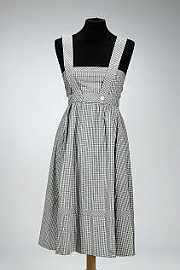 It has captured the hearts of every generation since and continues to generate a cult following nearly 70 years later. Numerous films and adaptations have been made since including Muppets’ Wizard of Oz, Return to Oz and recently Wicked a hit stage musical version of the book Wicked: The Life and Times of the Wicked Witch of the West by by Gregory Maguire. Although this latest version takes a slightly revisonist view of Oz history. A sequel to Wicked, entitled Son of a Witch, was published in fall of 2005 and a third book A Cowardly War is planned. With Oz as popular now as it has ever been there is a huge demand for Wizard of Oz items and luckily for the collector there is massive array of merchandise and collectibles available. Pictured left Wizard of Oz movie poster. From first and early editions of the fourteen Oz books to posters, to dolls and snowglobes, and from figurines to music boxes, to collectors specialising in particular characters and themes. 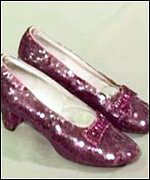 Original memorabilia from the film has seen record prices notably the famous Ruby Slippers which fetched $660,000 when at auction at Chritie’s East in New York in May 2000. The original dress worn by the star Judy Garland when she immortalised the character of Dorothy in the classic film masterpiece, The Wizard of Oz, sold for a staggering £ 140,000 at Bonhams in April 2005. The San Franciso Music Box Company is the largest retailer of musical gifts in the world with a collection of almost 1,000 musical boxes and gifts. 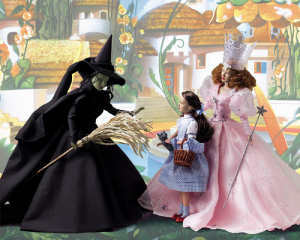 They produce a range of musical themed Wizard of Oz collectibles ideal for playing the many famous tunes from the film. 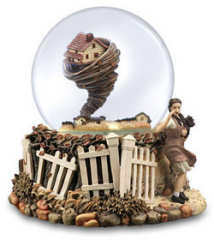 Pictured right is the Wizard of Oz Tornado Waterglobe which plays the tune “It Really Was No Miracle” and pictured left is the Wizard of Oz Four Character Figurine which plays the tune “We’re off to see the Wizard”. The range of colourful characters has led to many great collections of dolls over the years. Many doll companies and designers have created dolls including Barbie, Madame Alexander and Rober Tonner. The latest Rober Tonner Wizard of Oz Collection includes some spectacular designs. Pictured right are Glinda, Dorothy and The Wicked Witch of the West. and pictured left are the Scarecrow, Cowardly Lion & Tinman.